Co-presented with Subtext. Listen to an interview with Alison by Jen Graves of the Stranger. 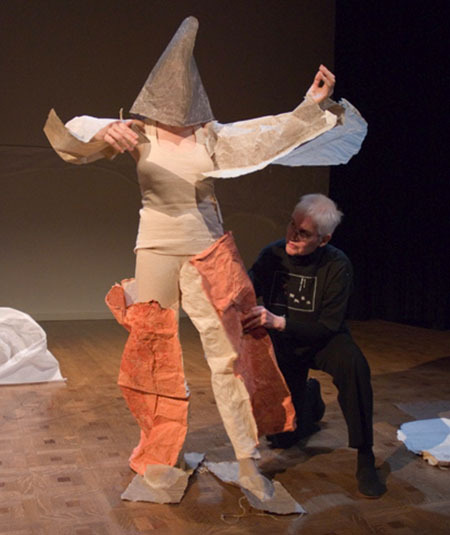 Alison Knowles makes performances, books, poems, and visual artworks. Since the 1960s she has been a key participant in Fluxus, an international group of artists working in/across various disciplines. For her first appearance in Seattle, she presents North Water Song, originally composed as a tribute to John Cage on his 75th birthday and realized as a sound work commissioned by West German Radio. This performance will include three simultaneous realizations of the score, with spoken text by Knowles, movement by her daughter Jessica Higgins, and sound by Joshua Selman. The text is published in her book Spoken Text.